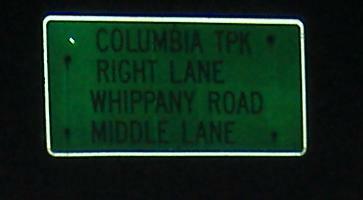 Columbia Turnpike, South Orange Ave. 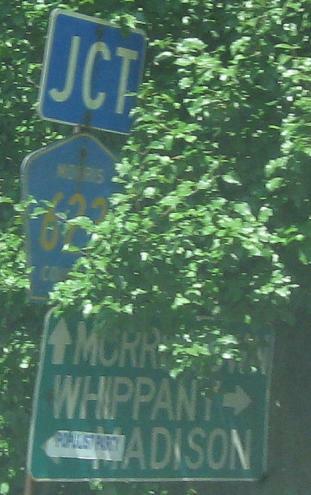 The first sign is for a U-turn just west of Whippany Road, CR 511 - while traffic from 511 only has this chance to choose between CR 510 WB and EB, traffic already on CR 510 WB may be more than a little confused. 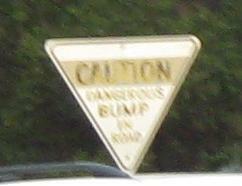 In a driveway right next to this sign are a pair of old yellow triangles with CAUTION DANGEROUS BUMP painted on them, but they've been replaced so that I can't retake them. 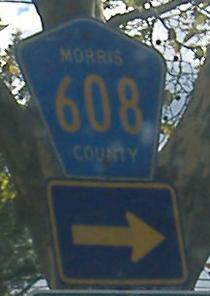 Morris Ave./CR 510 EB heading out of Morristown, passing state-name shields and worn LSMC's (Little Signs of Many Colors), some of which just aren't as reflective as they'd like to be. 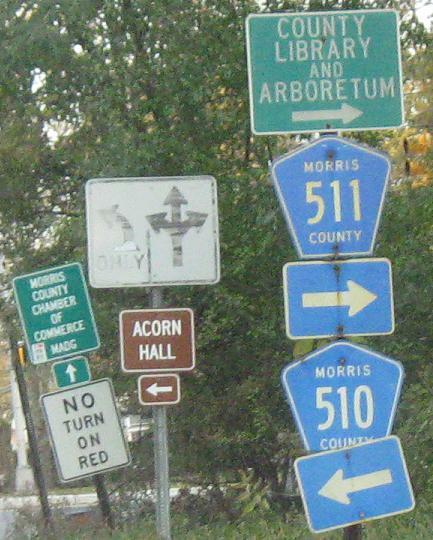 If you didn't notice, signage is not geared for those unfamiliar with the area - people looking for CR 510, Whippany Road, or Columbia Turnpike will be very disappointed at the split of CR 511 (only one advance sign) and Florham Park. 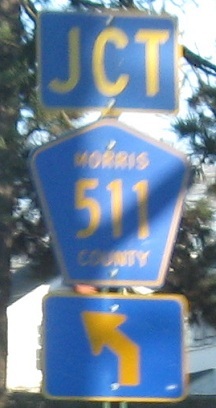 WB past Park Ave. to the end of the Columbia Turnpike, and the beginning of CR 511 to the right as Whippany Road, and yep, still more semi-reflective LSMC's. 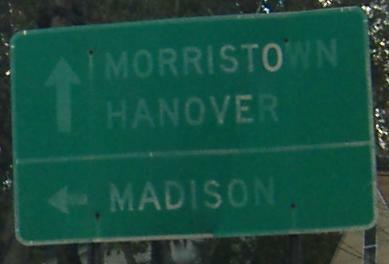 To the left, CR 510 WB continues into Morristown, past Washington's Headquarters. 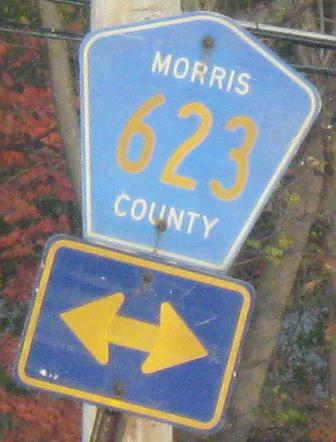 The Exit 35-36 area of I-287 until recently had more than enough old 2di shields to go around, but this is the last one left. 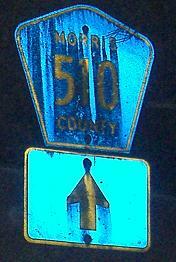 Lindsley Dr. at the CR 510/511 intersection. 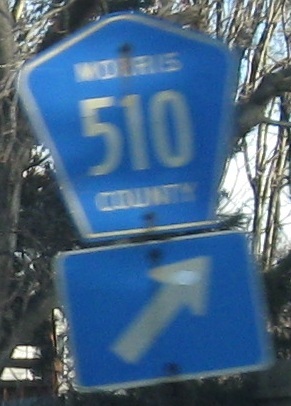 CR 510 WB is right, CR 511 NB is left, and the WB side is coming in straight ahead. 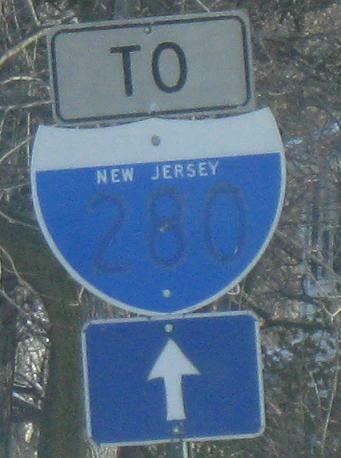 EB, WB, and WB at Park Avenue, which goes fairly soon to CR 511 (at NJ 24 Exit 1), but is in fact CR 623 in both directions. 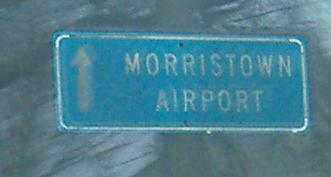 Just to the south is the new Jets (of New York football) training camp. 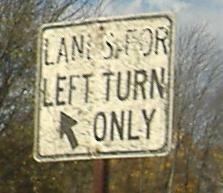 The last sign is in fact at the end of a right-turn ramp, which is useless. 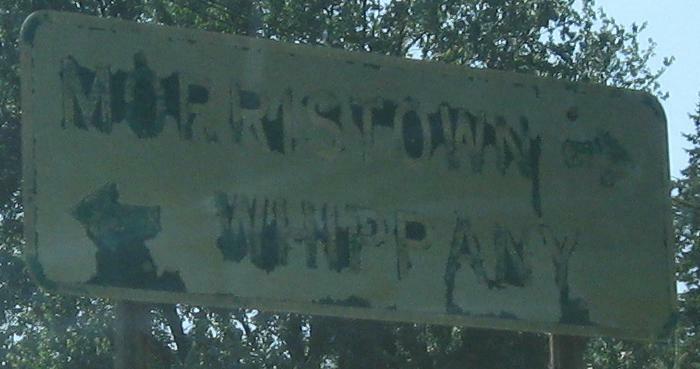 Looking north on CR 623 and then seeing its awful replacement. Stop reading my site if you're going to do this when I show you old signs. 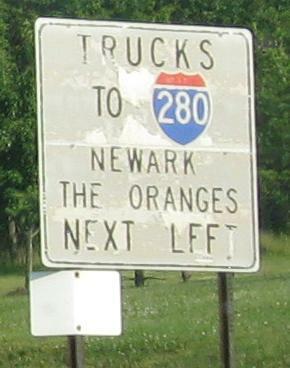 Sign atrocities heading EB (check your fonts), first just past Park Ave. and then at the ramp to NJ 24 WB. 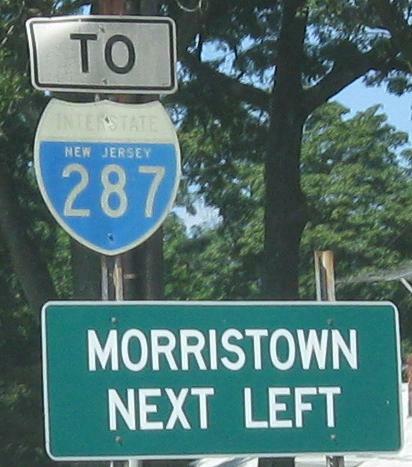 That ramp is also the first U-turn you get on NJ 24 coming from I-287, which I used plenty due to working on the I-287 SB - 24 EB ramp over the summer. 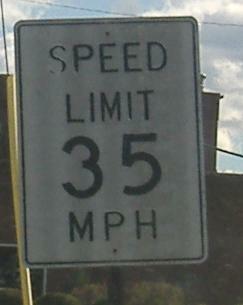 Old-school speed limit sign, more helpful than the new ones - "But I was only going 33 lightyears per femtosecond, officer!" 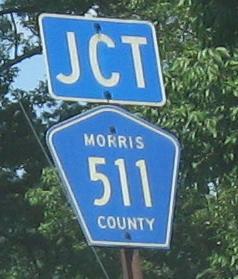 Eastbound past James St. in Florham Park. 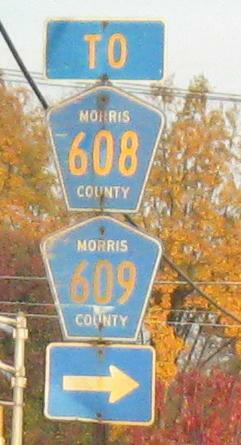 Eastbound at Ridgedale Ave. (Morris CR 608, and also 632 to the left) and Hanover Ave. (Morris CR 609, and no route to the right). 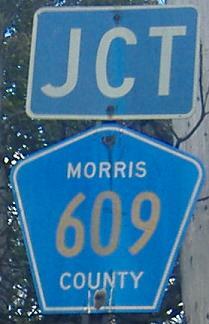 Interestingly, Morris CR 609 and Essex CR 609 are less than two miles apart, and both connect NJ 10 with CR 510. 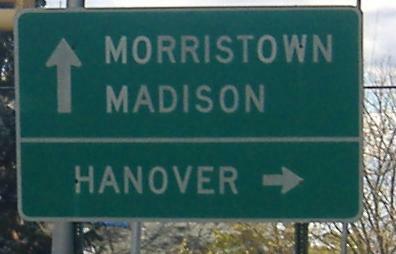 Westbound at the same two streets, obviously in the opposite order. 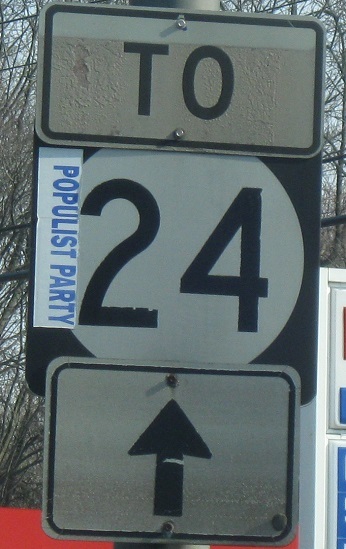 The LGS's scattered around this intersection (see the Ridgedale Ave. link at the bottom of the page) are all the same age, but that first one has faded much more severely for some reason. 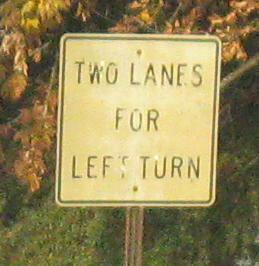 Due to left turn restrictions, traffic is told to turn right on Hanover Ave., left on James St., and left again on Ridgedale Ave. to get to CR 608, even though it would be easier and faster to make a left on Hanover Ave., right on Brooklake Rd., and left on Ridgedale Ave. (eliminating the need to cross the Columbia Turnpike and also saving one or two traffic lights). 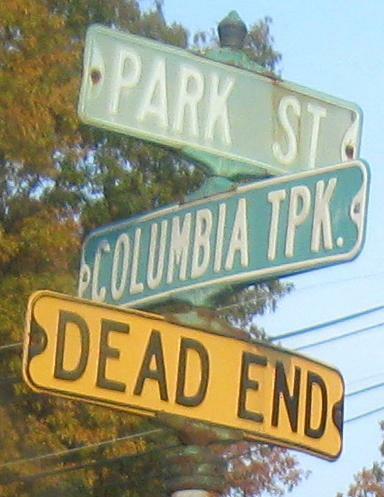 Finally, among all the old shields at this intersection, dig the embossed NO PARKING sign. One's a little ugly, the other's too yellow. Pinky and the Brain, they ain't. 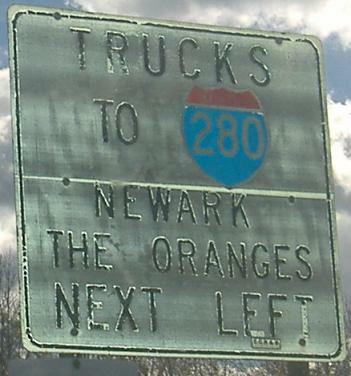 I first saw an error like this on NY 17 (Orange Tkpe. 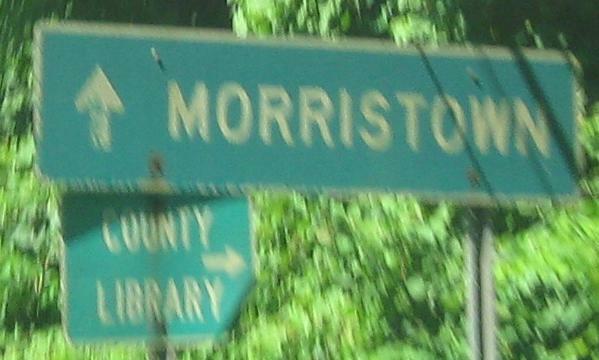 ), and couldn't imagine any place else would transpose the K and the P. Morris County (or at least Florham Park) has transcended my imagination. 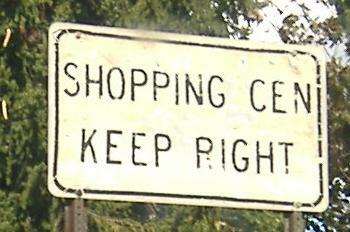 They could make that their motto, but they should fix this first. 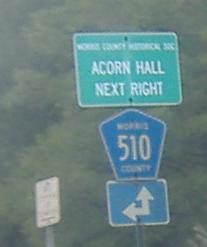 It's at Vreeland Rd., the first intersection in the county from the east. 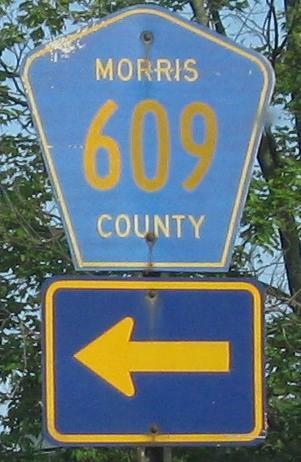 Eastbound at the other CR 609, Eisenhower Parkway. 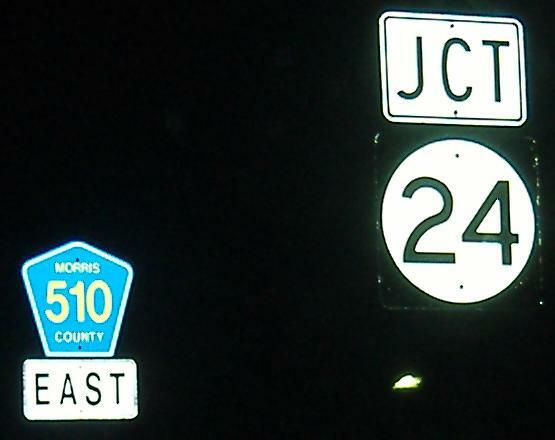 These signs are probably from 1970 when I-280 opened (Eisenhower Parkway is about that old), because more recent signs would be green instead of white, and would have a 3-digit shield instead of a 2-digit shield. 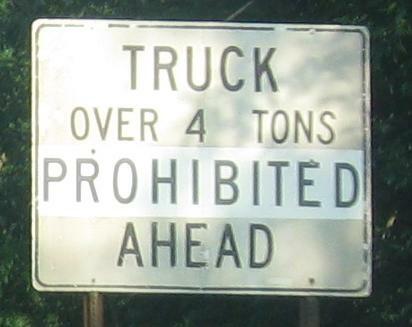 I presume trucks were originally restricted instead of prohibited. 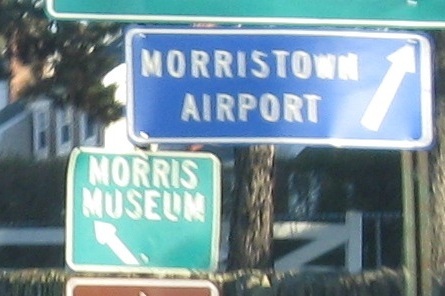 Old white signs on the right and left sides of CR 510 WB by the Livingston Mall. These probably date to when South Orange Ave. was reconstructed and the mall built - probably around 1970 (see previous caption). We came from NJ 24 way at the top of the page, and here we are once more. 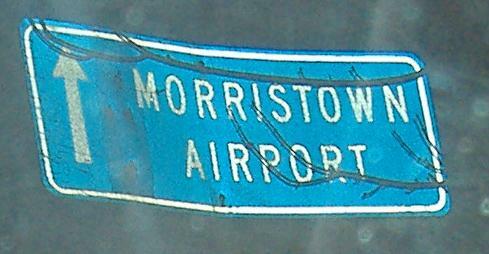 This points to JFK Parkway about a mile to the east, which leads south past the Short Hills Mall and reconnects to NJ 24. 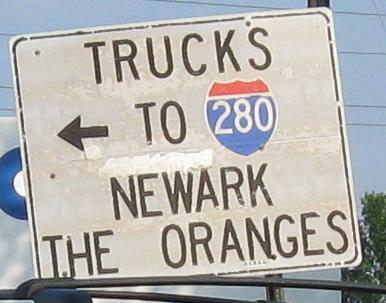 In reality, it would be faster to turn right onto Passaic Ave. and bear left on Parsonage Hill Road to get to JFK, but trucks can't go that way and it's two lanes instead of four. 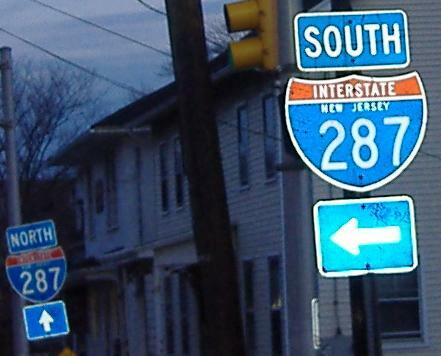 Had Eisenhower Parkway been completed, NJ 24 would be signed south on that highway instead. 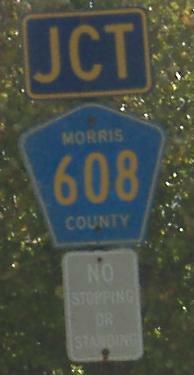 CR 607 NB at that intersection. 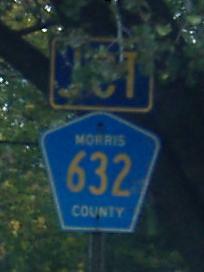 There really is nothing else interesting on CR 510 all the way to Newark.